WHILE boxing coach Paddy Fitzpatrick still says he has the utmost respect for George Groves, he feels he has worked with him for the last time, following his third defeat in a world title fight at the weekend. The first two defeats were to the legendary Carl Froch, the first an extremely controversial stoppage, followed by the famous Wembley grudge match attended by 80,000 and watched by millions on Sky, in which Froch knocked out the challenger with a massive right in the eighth round. Groves regrouped with two victories but his coach feels coming back from last weekend’s defeat to Badou Jack will be the toughest test yet. There has been little discussion between the two since the defeat but he was disappointed to see the fighter delete his twitter account, feeling it wasn’t the right thing to do given the thousands of supporters who followed it. “Since the fight we haven’t really spoken, to be honest with you. His wife was with him [after the fight] and she was very upset and she wasn’t necessarily saying the right things to one or two of us around him so there was no point in us being in that situation where there was only going to be uncomfortableness and no chat. “He’s deleted his twitter account now and, I hate to say it, but there’s that old saying of decide in haste and repent at leisure. It took him a lot of hard work over two years to build up those followers, I think he had a quarter of a million followers and that’s a lot of people who are mainly there to support you, enjoy what you do and like you. Fitzpatrick has no doubt that Groves has the talent to become a world champion but says getting the mental side right might not be a simple thing now, after another defeat. If Groves is to one day take a world title, it will be without Fitzpatrick, he says. “It’s me that’s saying this now but if George was to come back, he would need, and I think it would be better, to be with a different trainer. We haven’t had a long career together, where you can say we’ve done A, B, C, been through C, D, E together and that’s it. He feels Groves needs to change things, while he feels he needs to improve his relationship with the public too. With that in mind, he feels leaving the twittersphere was short-sighted, even if people were going to be posting stuff that was hardly helpful when he’s despondent. “I’ve got nothing but full respect for the man, I’ve enjoyed our journey, even the crap bits, because we’ve been in it as a team and we’ve achieved a lot and overcome a lot. But he has still yet to achieve a goal that is physically and technically well within his grasp. “Mentally and emotionally, I don’t know. He definitely needs a break and there would be no shame either in having a chat to somebody about it over time, somebody that could clear his head out. “If George were to come back, he would need to come back and get the support of the people and I believe that little things like turning off his twitter account, I don’t think he understands how big a deal that is. 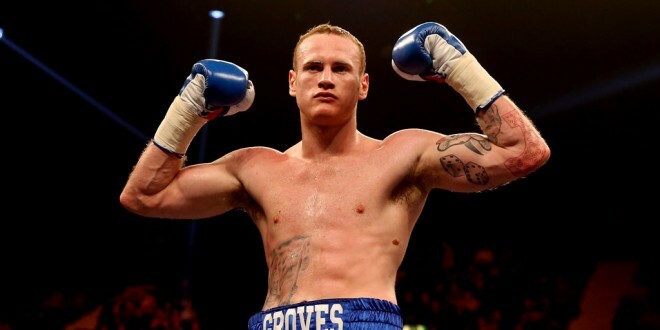 He describes Groves as “a genuine, nice fella” and feels he got little credit from the boxing press over the last few years and that more should have been made of his second performance against Froch and his European title win over Christopher Rebrasse. While he does sympathise with the disappointment Groves is feeling this week, he feels that when the bigger picture is examined, he is doing much better than most. “I’d prefer people keep it a bit real too; we’ve just had a young man [super-featherweight David Browne Junior] with two children lose his life in this game in Australia only last night. George Groves is happily married, he has a beautiful home, a few million in the bank and he’s 27 years old and perfectly healthy. 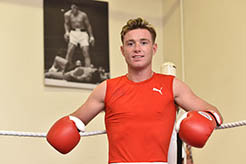 While he is preparing the Irish fighter Eamon O’Kane for a fight at Madison Square Garden, he is also coaching young people from very disadvantaged backgrounds at his Swindon gym, who help provide perspective also. “I’m just about to walk into my gym; I’ve got kids from broken homes, kids who’ve got nothing and if they’re smiling, you know, keep it real. 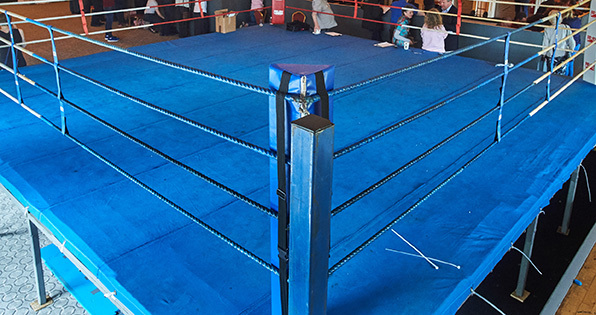 “You have your private life and your boxing life, your boxing life you can be gutted in. What you’ve [Groves] achieved as a boxer, you didn’t achieve as much as you wanted to but it’s not necessarily over unless you say it is. There are lots of fantastic coaches out there; go change things, get things right.